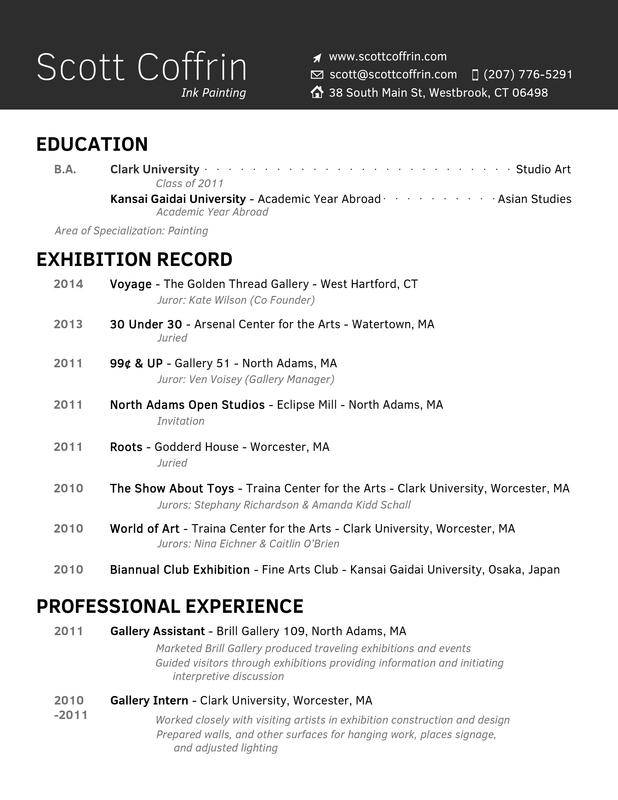 I'm an artist working out of Westbrook, Connecticut. I have a B.A. from Clark University in Studio Art. My work is heavily influenced and concerned with East Asian brush painting, mostly stemming from a year I spent living in Japan studying Japanese language, culture, and art. I use elements and techniques found in traditional brush painting and apply them in a way which is not instantly recognizable in an effort to bring out traditional ink painting's innate contemporary qualities.